Growing up, I felt that advertising was my calling. I loved interacting with people, getting to know them, and figuring out how to talk to them in a way that would resonate. This personable skill set made for a wonderful college experience, but it ultimately led me down a different path than the one I originally envisioned for myself. You see, I went to school with the intention of going into advertising. By the time I graduated with a marketing degree, though, I had decided to go to law school instead. My decision to change course was largely inspired by my father, who was a very accomplished attorney himself. 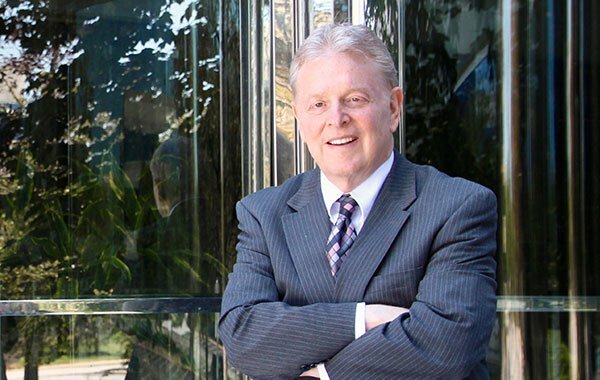 He had spent decades guiding his clients through their legal crises, and despite my passion for marketing, I couldn’t help but admire the positive impact he created. As I deliberated whether to follow in his footsteps, I started to notice how my own interests could so easily be put to use in the legal field. I had a knack for connecting with people, telling their side of the story, and pursuing my goals until I reached them. In the end, those qualities became my greatest assets as an attorney. Sometimes, when I look back on my decision to switch from marketing to law school, I ponder the “what ifs” that come with any major fork in the road. The biggest one is simply, “What if I had gone into advertising rather than law?” And the answer, I think, is clear: I would never have been able to help all the people I have helped over the past 40 years. Nothing helps a person through a difficult time like a strong network of support. If you choose me as your attorney, know that you’re gaining a new advocate, too. For most people, finding the right lawyer feels about the same as drawing a number out of a hat — complete luck of the draw. No matter how much research you do, you don’t really know who it is you’re going to be working with until you meet them. And even then, you have to trust your instincts on whether the person you’re meeting is the right person to be working on your case. Rather than trying to convince potential clients that they should pick me as their counsel, I choose to look past all that and simply dive into the truth of their legal matter during our initial consultation. I explain what I see from a legal standpoint, and I explain it in plain English — not legalese. I tell them what strengths and weaknesses I see in their case, I don’t make any empty promises about what will happen, and I offer suggestions for how they might proceed. Clients sometimes seem surprised at this transparent, down-to-earth approach — in fact, I recall an early client of mine coming back after a case and saying, “We wanted you to know that we liked you. We didn’t think we were supposed to like our lawyer!” To me, though, speaking plainly from Day 1 is simply the right way to go about helping those who come to me for guidance. When it comes to any legal concern, everyone’s needs are different. Some people need someone there to hold their hand. Others need to calm their worries by asking questions whenever they arise. And some people are infuriated at their opponent and need to know that their attorney isn’t going to pull any punches. Every case is different, but to ensure I’m offering whatever my clients may need, I answer calls 24/7, I’m always prepared to take a more aggressive approach, and I keep a box of tissues on my desk — just in case.